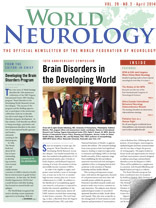 Since its inception 10 years ago, the program “Brain Disorders in the Developing World: Research Across the Lifespan,” has funded research that, to date, has resulted in the publication of 435 peer-reviewed articles, plus 14 books or book chapters, and facilitated long-term training of at least 138 scientists in 44 low and middle income countries (LMICs). In order to be eligible to apply, each project must include a team of investigators, at least one in the U.S. or another high-income country, plus one or more collaborators in a LMIC. In addition to the likelihood of accomplishing significant research, each project is expected to further the research capabilities of the LMIC partners. Importantly, almost all LMIC trainees received their mentoring in their home countries. The total funding, to date, collectively from the Fogarty International Center (FIC) and other National Institutes of Health, is approximately $84 million. The research findings from many projects have had significant impacts, leading to improved approaches to treatment and helping LMICs to develop health care policy. Policy responses range from establishing the first surveillance system for retroviral and viral meningoencephalitis in Peru, to bringing fetal alcohol syndrome to the attention of Russian leadership and key health officials. This exciting and important symposium, with almost 400 registrants, featured 65 oral presentations and more than 100 scientific poster exhibits by grantees. Presenters described research results and projects under way in every continent except Antarctica. 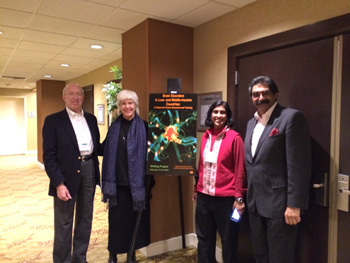 The subjects were diverse: epidemiological studies of neurodevelopmental disorders in India, South Africa and Uganda. They also were as specific as the management of head trauma in Latin America and prevention of neurocysticercosis in Burkina Faso. Following the symposium, 28 neurologists, neurosurgeons, epidemiologists and basic neuroscientists met for two days to begin the process of writing papers. The papers looked at future needs and opportunities for clinical and basic neuroscience research designed to address neurologic and psychiatric disorders across the lifespan in LMICs. These will be published as a supplement to a journal, with Donald Silberberg and Rajesh Kalaria serving as co-editors. The Brain Disorders program has been coordinated since its inception by Kathleen Michels, PhD, Division of International Research and Training, FIC. The Writing Project is being coordinated by Nalini P. Anand, JD, MPH, director, Division of International Science Policy, Planning and Evaluation and Director, Center for Global Health Studies, FIC. Opportunities for obtaining funding for research through this NIH program can be seen at fic.nih.gov.